Juraj Ľupták (1887-1958), son of the Evangelical priest, artistic whitesmith, left in 1905 to Trenton in New Jersey, USA, for work, with his girlfriend Emma. In 1921 he returned as an American hotelier with his wife and four children. 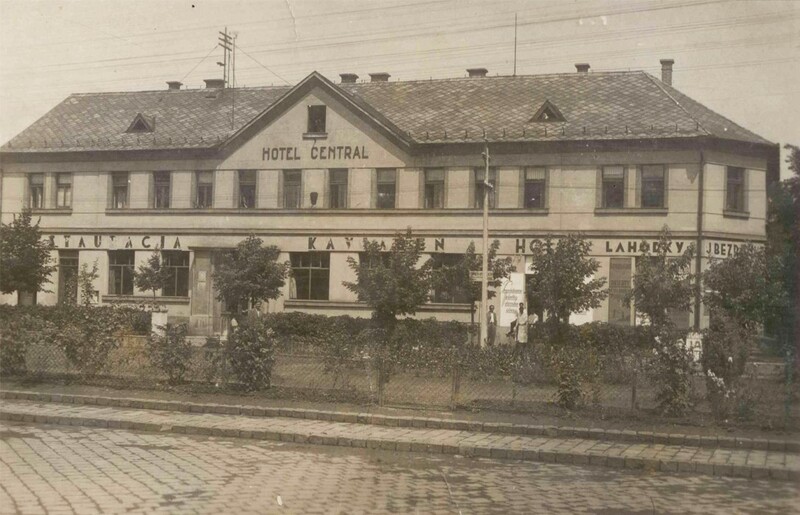 History of The Central Hotel in Zvolen began to be written before 1926, when the originally single-store Hotel Central was bought and converted into a two-store hotel by Juraj and Emma Ľupták after returning from the USA. 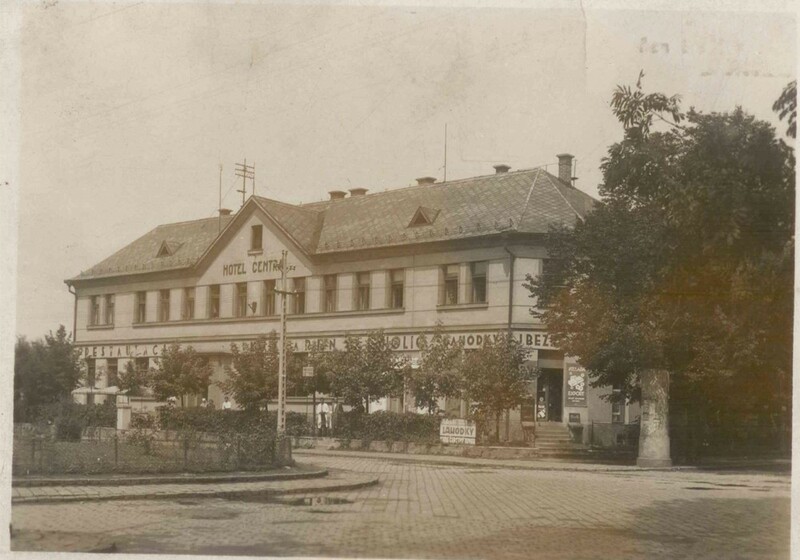 Opposite of the hotel there was the only train station in Zvolen, which is now called a cargo station or old station. 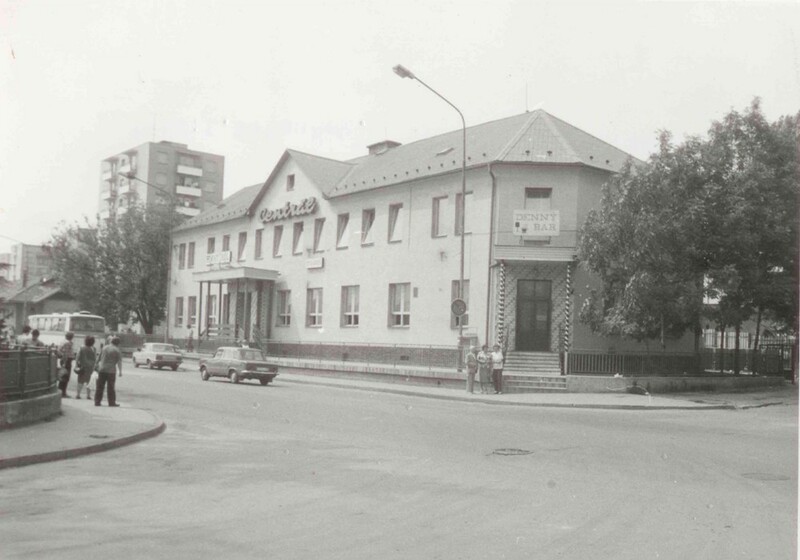 At that time, the street on which Hotel Central was located was called Bartošovič 39. 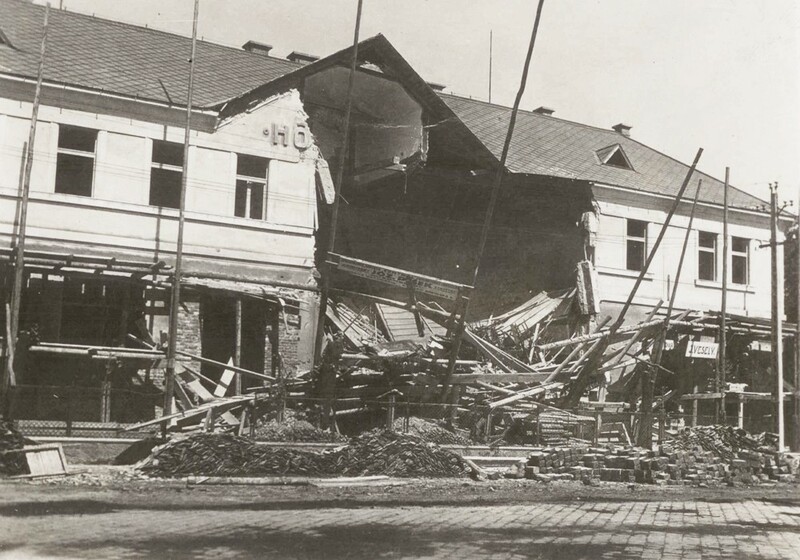 In 1928, shortly before the completion of the hotel, the building was damaged by an air bomb, what is a very unpleasant memory for its owners. He repaired the damaged hotel again. He told this to his grandchildren and did not tell them anything more. In 1928 it was already after the First World War and the second had not yet begun, but we have no further information about the events at that time. During this period, 16 people worked in the hotel, changing their jobs so that everyone could replace anyone. The system of work was brought by Mr.Ľupták from the USA. Son Juraj was send to the hotel school to France to continue in fathers’ shoes. During this period, the hotel used silver dinnerware. 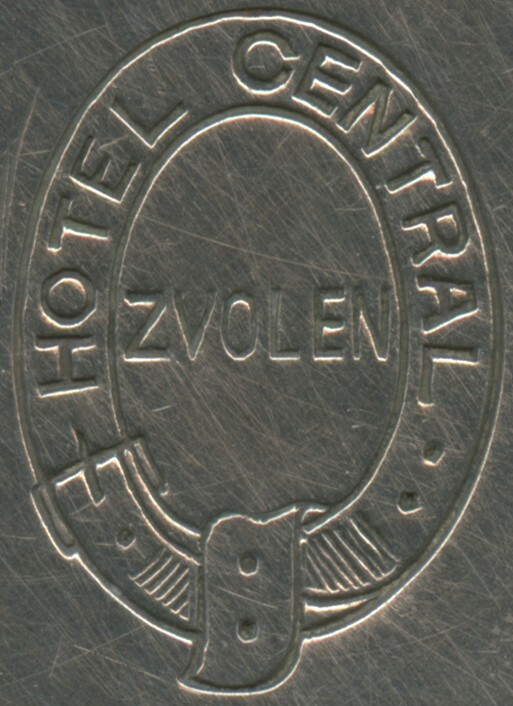 The hotel logo is scanned from the bottom of the silver teapot, which is the last remaining artefact from this period. 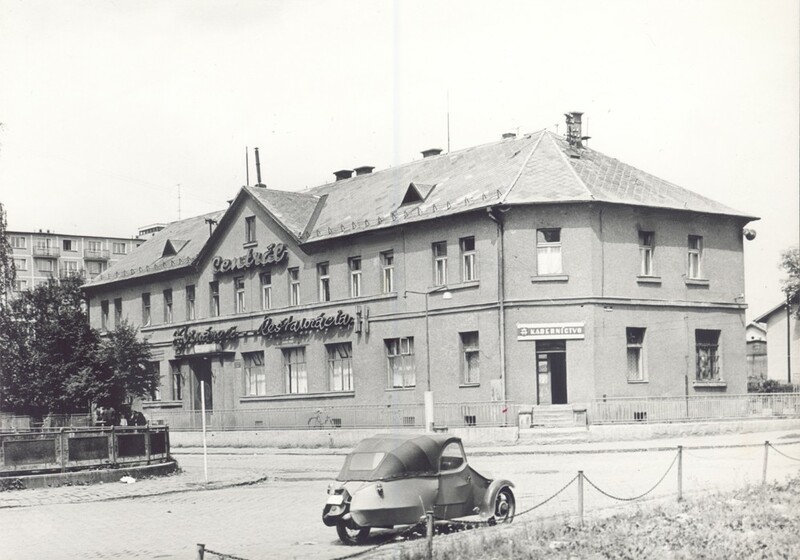 During the Second World War, General František Fajtl used to be in the hotel. The pilot went to shave every morning to the barber shop on the ground floor and flew to the battle from Sliač airport (at that time called Three oaks) or Zolná airport. Juraj Ľupták was friend with him as well as with the pilot Ladislav Valoušek or other pilots of the 1st Czechoslovak independent aircraft fighter corps fighting in the Slovak national uprising, who at that time also stayed at the Hotel Centrál. 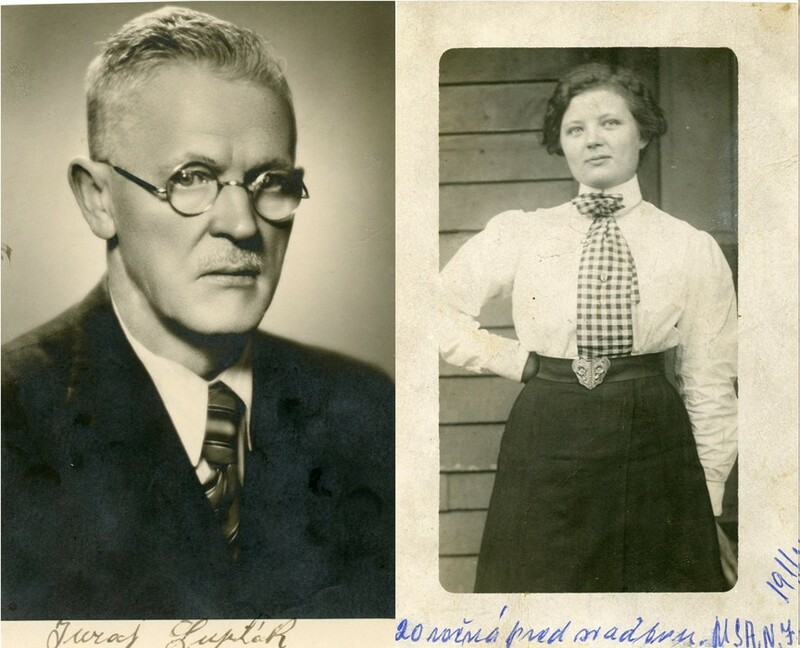 Mr. Gustav Husák was also friend with Mr.Ľupták, they went hunting together. He used to stay at the Hotel Centrál as a friend, not just as a regular guest. At the end of the Second World War he was hiding in the hotel's cellar, which saved his life. The post-war period brought the confiscation of the hotel by the government in the struggle against the bourgeois element. The original owners became tenants in their own hotel, they had to start paying rents. 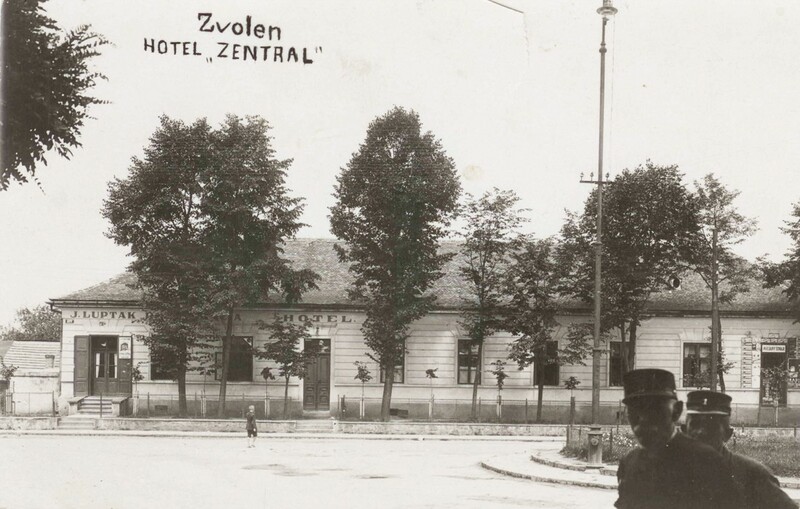 Later, the electricity and water connection were disconnected for the reconstruction, and the Ľupták family had to definitely move out of the hotel. The street on which the Central Hotel was located was named Lenin's Street at that time. The photo in the times of Velorex before the communist reconstruction. It can be recognized by the main entrance, which is not rebuilt yet. In the back there is already a block of flats and a hairdresser, which was created from a former barber shop, which was also visited by General Fajtl. Text from the back of the photo: "Juraj and KatarínaĽupták together with a friend Mrs. Ida Valoušek in front of our house where the pilots of the 1. Czechoslovak independent aircraft fighter corps were accommodated during the SNU from September 17, 1944 to October 26, 1944. Among them was the pilot Mr.Ladislav Valoušek. From Kpt.In the backup Juraj Lupt. Photo by L. Valoušek. "